Synopsis: In the post-apocalyptic Australian wasteland, a cynical drifter agrees to help a small, gasoline rich, community escape a band of bandits. Review: With 1979’s Ozploitation epic Mad Max being made on the cheap and going on to become the highest grossing film in Australia, it didn’t take a genius to figure out that a sequel would find its way to cinemas Down Under…but what about the United States? 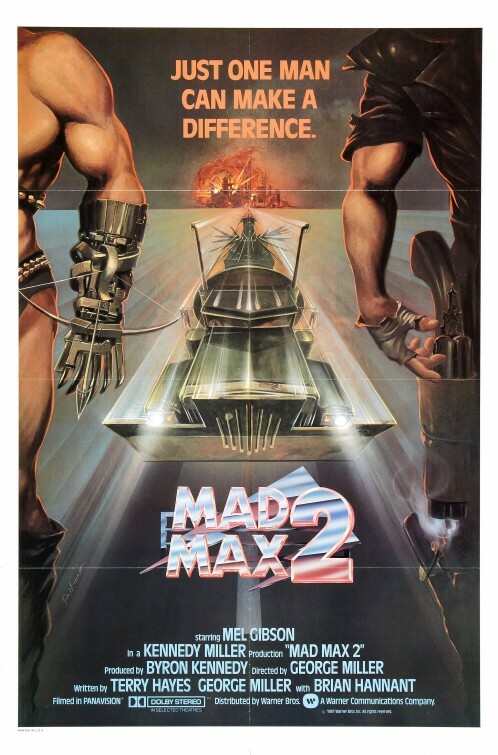 The original had a release that was famously bungled by its indie studio so when Mad Max 2 made its way stateside Warner Brothers was ready to snap it up. They had a problem though…how do you give a profitable wide-release to Mad Max 2 when most audiences hadn’t heard of Mad Max? The answer, rename the film The Road Warrior. 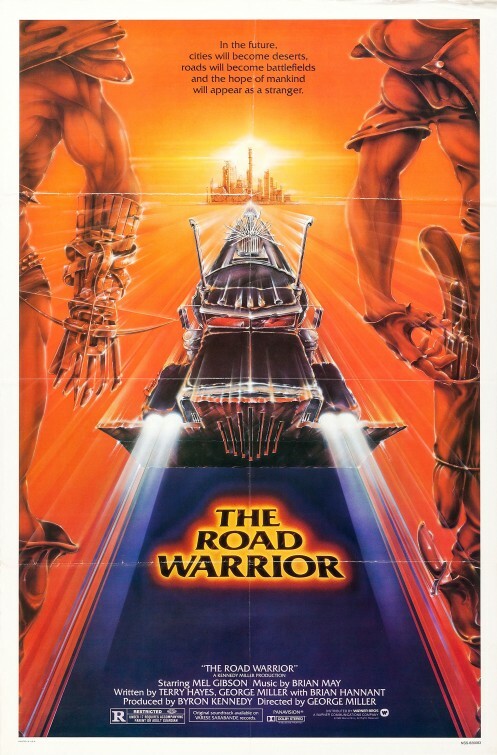 When I was young and started browsing the video store shelves, I never could remember which came first, Mad Max or The Road Warrior but the differences between the two films is totally clear. Where Mad Max was a revenge tale (a genre popular with the Death Wish-heavy 1970s) The Road Warrior cantered on the fine line between car chase action and apocalyptic sci-fi. Also, with the central character of Max (Mel Gibson, The Expendables 3) getting his revenge at the end of the first film (sorry, was that spoiler?) screenwriter and director George Miller chooses to bring Max forward as less of a man and more of a myth-based savior for a band of rebels fighting to protect their stash of the now-rare gasoline from a band of outlandish psychopathic thieves. It’s 94 minutes of near non-stop action, with Miller using his added budget and resources to focus on creating death machines that race through a dystopian Australian Outback where no one is safe. There’s precious little in the way of dialogue (Gibson has about 20 lines) or special effects, a formula Miller would use on all of his Mad Max tales. While the central bad-guys may lack a little of the terrifying nearness of Mad Max’s Toecutter, it’s a muscle-bound lot of crazies that bring purposeful color to Miller’s barren wasteland. Ending with a whopper of a chase, The Road Warrior is what Aliens was to Alien…a film that takes a valuable character and enriches them. Check out my review of Mad Max Beyond Thunderdome!